Hip-Hop has always been about uplifting the community. As an artist, I find it not only a requirement, but a responsibility to inspire and build up those around you. Music has helped me through all of my lowest points, so I’m extremely thankful to the culture. These two organizations allow me serve and give back to others in a creative way. Every City Needs A Hero is an organization that aims to challenge individuals to use their gifts and talents to create positive change in their area of influence. Our mission is to ensure that people understand the kind of super-power that is present inside them. We believe that each one of us has the power to bring in the right kind of change when we understand our purpose and the impact it has on others. CRE8 exists to influence, educate and empower creatives from all cultures and regions by providing the guidance and skills needed to overcome obstacles they may face chasing their passions. CRE8 stands in the gap for people that have a passion to be great but don't have an idea of how to get there. From workshops to 1-on-1 mentoring sessions, we strive to set creatives on a path that will allow them to be true to themselves and change the world in the process. 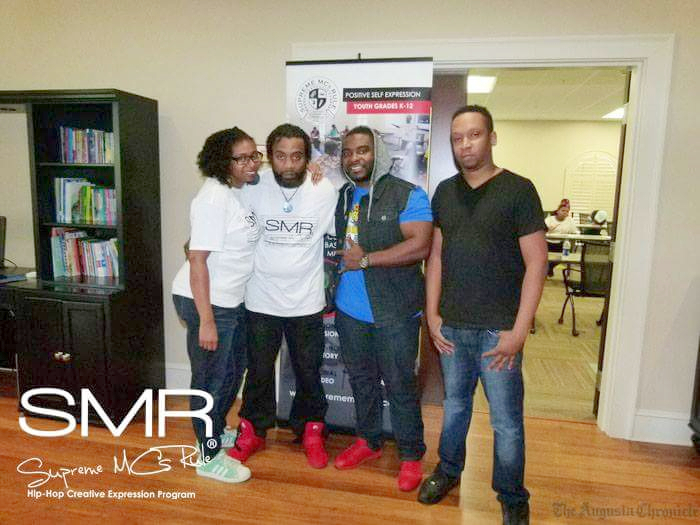 Supreme MCs Rule (a community-based program) is an expressive music arts program using Hip-Hop culture to engage elementary, middle and high school students, addressing inner emotions, life situations and conflict resolution skills. The goal is for youth to reflect on past experiences and current life situations by connecting with Hip-Hop lyrics, using them to discover a new talent, increasing their self-worth.